With a storage tank capacity of 1 million litres, we work with 30 dynamic changing tanks with capacities varying from 10-50 m3. 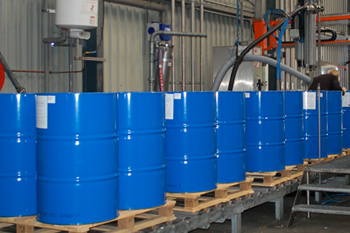 We are specialized in packaging bulk fluids into different stock keeping units (SKU), varying from 125 ml to 1.250 L (IBC), including filling directly from tank truck. With ECO, you have access to 10 semi-automatic volumetric and mass-flow filling lines. Seven of these lines can be used for small packaging (125 ml-20 L), including automatic double-sided labelling. Three production lines are designed for large packs. We also have 2 nitrogen installations. Fluids can also be coloured, mixed and, in some cases, blended. Traceability is guaranteed, thanks to print and laser barcoding per pack and box. Our extensive services range from private label and consultancy to marketing strategy. All with cost savings in mind! To offer you greater selection, we often work with the “Buy & Sell Back” principle – purchasing packaging components from our own vast network of suppliers. We can also offer you special customized packaging, including unique designs, colours and shapes. 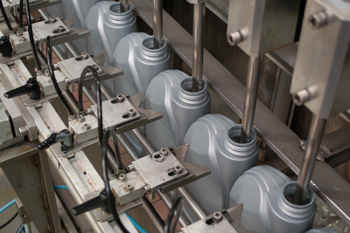 One of the most advanced areas of our expertise is ECO’s dedicated brake fluid production lines. This includes separate, dedicated temperature-controlled and covered stainless steel tanks, pipelines and filling equipment, which guarantees the highest production quality and eliminates any risk of contamination. All of our tanks are located within containment dikes, and feature all necessary control and safety equipment, to prevent overfilling, maintain temperature and other such functions. We are also eager to grow our capacity, and offer extra storage when the demand arises.